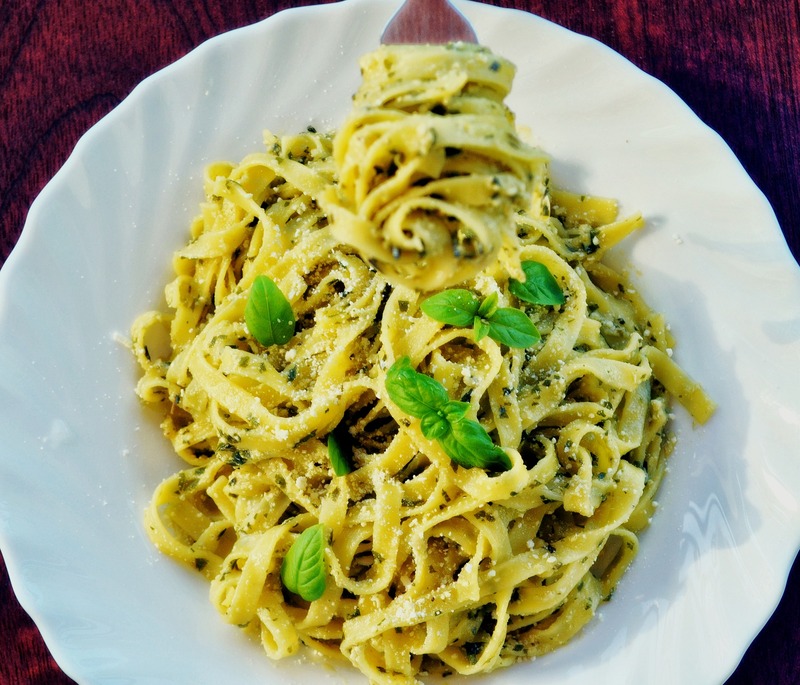 Take the hard work out of making dinner tonight for you and your family with this easy pesto linguine recipe! The best part of this delicious pasta dish is that you can grab everything you’ll need right from the Market! Start your shopping with picking up a fresh loaf of Italian Herb Focaccia from Cobs Bread, then you can find baby tomatoes and other fresh produce from Lonsdale Green Grocer. Finally you can pick up your pasta and pesto sauce from Bowen Island Pizza Company and they carry fresh parmesan cheese in case you need some! Don’t like pesto? They also carry tomato sauces you can use to make your delicious pasta dish. Recipe courtesy of Cobs Bread. 2. Dry out Focaccia by placing in a pre-heated oven for 15 minutes. 3. Let cool and blend in a food processor until the texture of breadcrumbs. 4. Combine with salt, pepper, garlic powder and lemon zest. 2. Slice baby tomatoes in half and add to a prepared baking sheet with olive oil, salt and pepper. Roast for 20 minutes. 3. Bring a pot of salted water to a boil. Boil pasta as package indicates. 4. Reserve half cup of boiled pasta water and drain rest. 5. Add pasta water, roasted tomatoes and pesto to pot and mix pasta to combine. 6. Top with parmesan cheese and toasted breadcrumbs. 7. 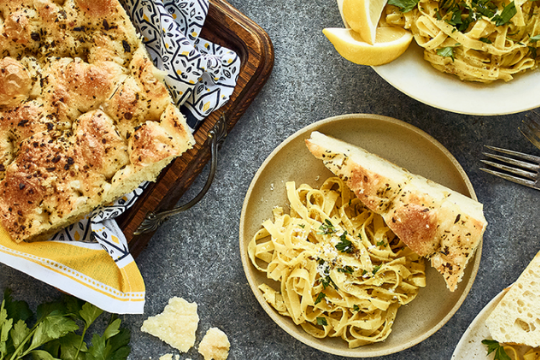 Serve your pesto linguine pasta dish with a side of focaccia triangle. The Market is open Monday through Saturday 9am – 7pm and Sundays 9am – 6pm. You can find other Market recipes that are guaranteed to be a hit with everyone on the recipes section on our blog!